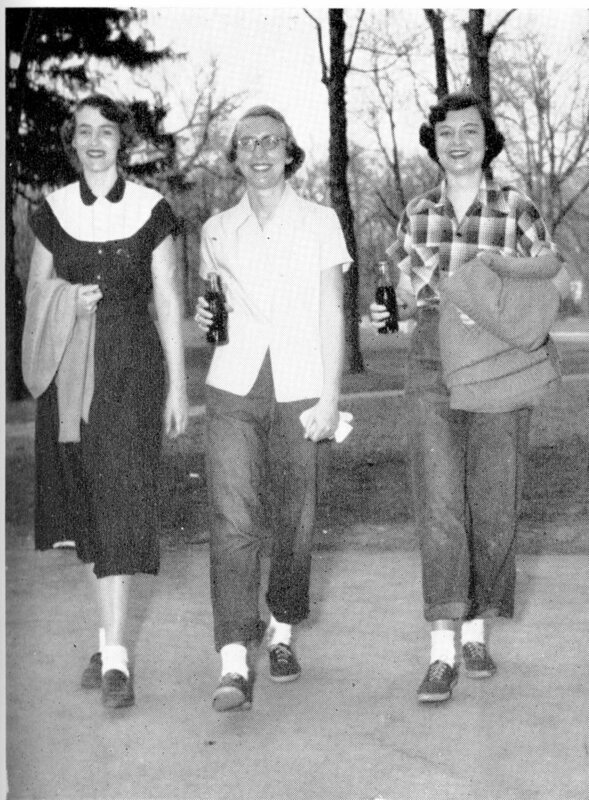 "Three Girls Walking with Soda Bottles"
However, with the boom of the fast-food industry in the 1970s, soda consumption more than doubled. Startling statistics, showing that Americans drink more than fifty-two gallons of soda per person per year, provide early evidence for the growing obesity rates in America. Marketing efforts made this “liquid candy” consumption commonplace among American children; even young children were being bottle-fed the drink. Further, studies show that consumption rates are highest among college aged consumers, age eighteen to twenty-four. With rising obesity rates among children, the school marketing efforts of large soda companies have come under heavy fire. Click here to listen to an NPR report on the great soda debate. Andrew Smith, “Soda Drinks and Soda Fountains,” The Oxford Encyclopedia of Food and Drink in America, Vol. 2., (Oxford: Oxford Press, 2004). Eric Schlosser, Fast Food Nation: The Dark Side of the All American Meal, (New York: Houghton Miftlin, 2001).